And then he was approved and had his plane tickets to come visit. Coming in Wednesday and we would drop him off in Seattle on the following Saturday for him to get ready for his conference the following week. I was super excited and ready for him to come into town. Our visit together was pretty great. On Wednesday April 11th C and I picked him up from the airport and then went back to our house to drop his stuff off and went to have lunch. We visited at home until a little later in the day when we left to pick up the oldest for the next day. We made dinner at home this night. Thursday April 12th I turned 38. We got up and headed to Tacoma to do the 5 mile drive. We did the drive and had some fun at Owen's Beach and then drove around Tacoma sight seeing a little bit. We went back to my house and had lunch before heading out again. 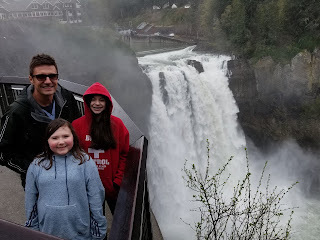 This time we went to see the Snoqualmie Falls. We have never been and it was absolutely beautiful. I mean it was super cold and rainy, but it was a great experience. For my birthday dinner we went to the Crab Pot in Seattle. 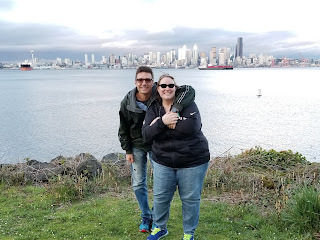 It was a great wonderful time... after dinner we headed over to Alki Beach to take some pictures of the Seattle views and then headed to Cheesecake Factory to get me some birthday cheesecake. UMMM YES PLEASE! We dropped the oldest off at her house and then headed home. Saturday the 14th Michael and I just relaxed at home. We read some of our books and spent time remembering old times and visiting about new times. It was a very special time just to two of us. Once Abe and C got back, Michael and I grabbed lunch and we hung out and visited before taking him to Seattle to his hotel. The goodbye was hard. I was super sad and so was the kiddo. 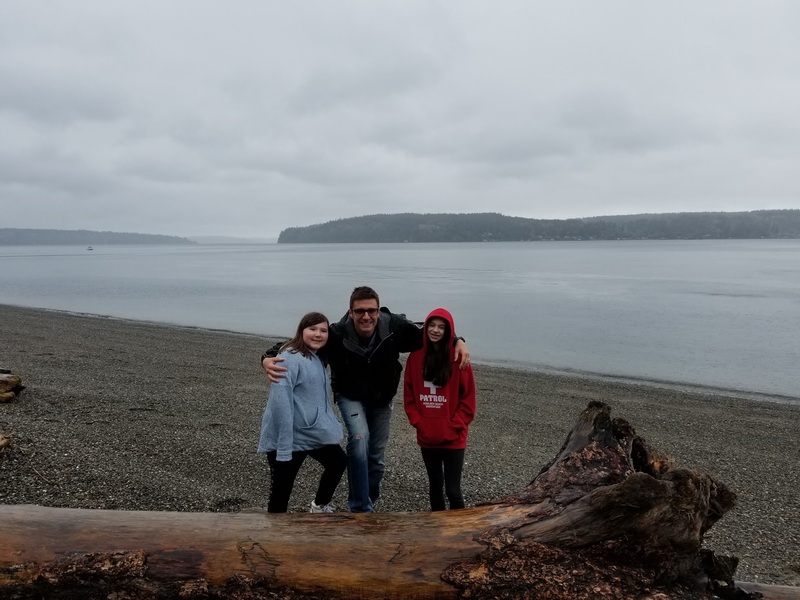 And knowing he would be in Seattle the next week and not seeing him was even harder, but I am so thankful for our time we got to spend together. It is a trip I will remember forever. I love this man so much! I just turned 38 2 weeks ago, nice to meet another 80's baby. I love travel/trip surprises. Several years ago my sister went to Vegas and won some money on a penny slot. Pretty good for someone that doesn't gamble. She ended up surprising me with a trip to Germany to visit our friend that was stationed there. It was a great trip bonding with my sister fumbling through the German language. YEAH to 80 babies. How fun. 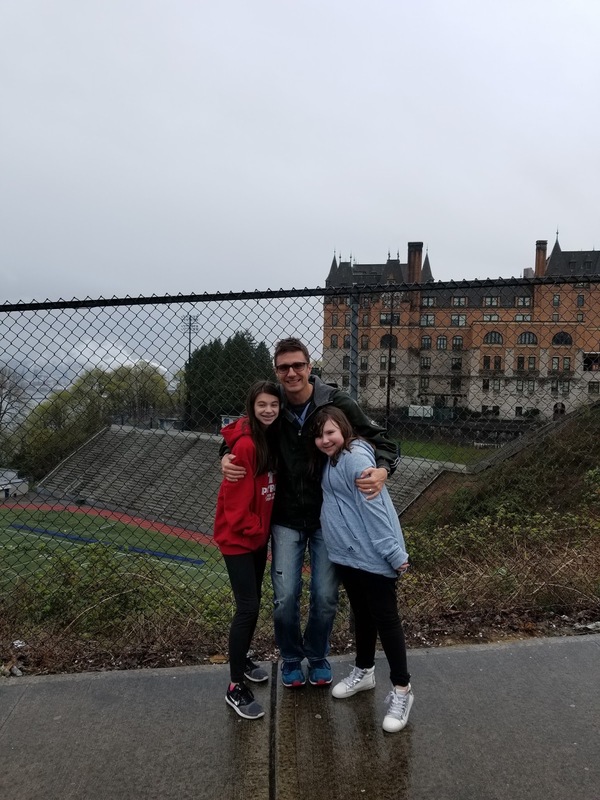 What great memories you have with your sister! Our hope is to go to Vegas for my 40th. :) I don't gamble much, but when I do I usually win some. I hope that will be the case then!